taking flight into the sky of life. But, not too high or too far away from the pilot mind who controls it, as the strings of a painful past experience keep it tethered to the earth. The mind lets the heart dance in the breeze but is always there keeping the strings tight and the flight controlled. What would happen if he let the strings go? Would it fly away, so high that it will never be seen again? Would it spiral out of control and crash to the earth, broken on the sands? The pilot knows that in the past his control has made the kite soar with joy and also smash violently into the sand. Is he any better than the chaos of the wind itself? He knows he will never let go. So here he is, fighting the winds, straining at the end of the strings. He will not let it fly away today… He will gently bring it back down to the sand. His tired hands will wrap the strings up, and with care fold the kite then put it back into its protective bag. 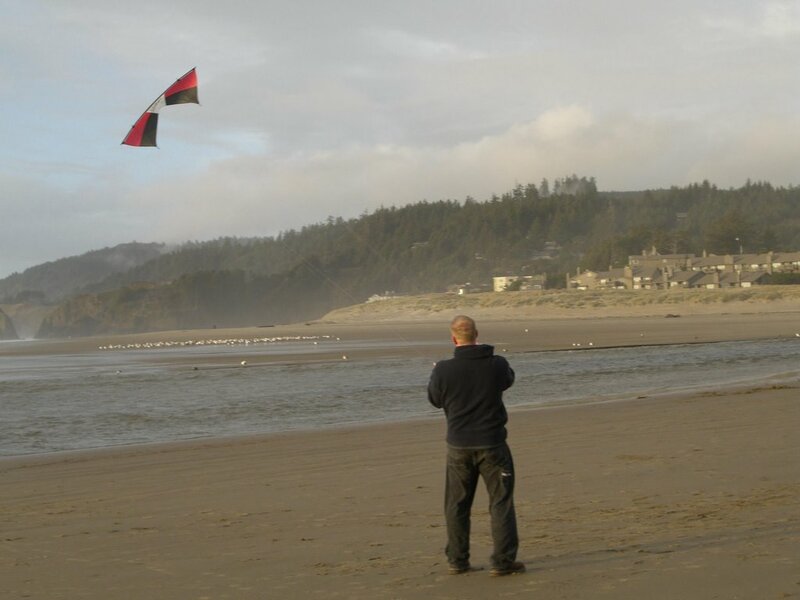 For now apprehension prevails as he walks alone across the sands carrying his precious kite. He knows he will fly it again someday and pray that next time the winds will be so strong that he has no choice but to be lifted from the earth and fly away with his heart… Only then will the pilot mind and kite heart will become one.